Intentions are goals with a little heart thrown in. They focus on the present and help to guide our decision making in the moment. The first week of the Homespun Seasonal Living Workbook challenges us to think about what we desire right now around seasonal living. 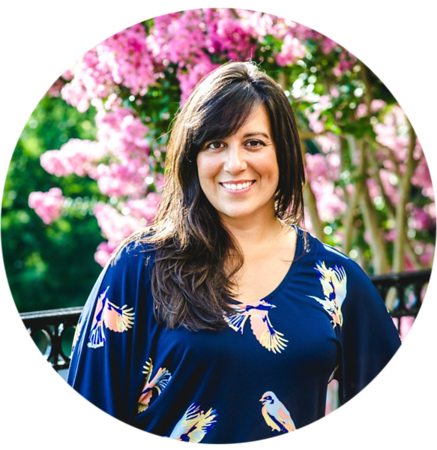 While Kathie offers a few different creative ways to get in touch with our desires, mine were already at the forefront of my mind and it took only a few minutes to get them down on paper in the form of a good 'ol list. What does seasonal living mean to me? We are mindful of how and where our food is grown and raised. We source as much as we can organic and local but I'll admit to buying strawberries in the dead of Winter and quitting root veggies when I get bored three weeks into Fall. Instead I would really like to limit the variety of foods that we buy to the in-season variety. I want the limitations of that intention to inspire my creativity in the kitchen and build anticipation for the nourishment that next season offers. I want to feel the seasonal fluctuations of having and not having. “Suffering” through late Winter’s turnips and carrots and potatoes while holding our breath for the bright green shoots of asparagus and the first blush of strawberries in March. The pain and pleasure of knowing both extremes and feeling okay with the coming and going. We are big fans of the saying, "There is no bad weather, only bad clothes." We believe it and we try our best not to let the weather dissuade us from our outdoor pursuits. Over the years we have built up a pretty hardy collection of outdoor wear, particularly for the rain and colder weather although not so much for the snow (as we get only a few days of it a year). The kids keep growing and every year we need to update their stuff, and as they get older we're able to do more with them outdoors so our gear needs have changed some too. My intention here is to continue to be proactive in gathering gear and to not let my own uncertainty about getting outside in really cold weather—that's the hard one for me—hinder our family's outdoor adventures. My parents are Southern Californians at heart, and they love to bask in heat and humidity. Virginia Summers are sweltering and in mid-August, 90 degrees outside and with 100% humidity, the windows of our house were always wide open, kitchen air the same as the backyard. I hated that as a teenager but I kind of get it now. As the temperatures have dropped this Winter I have noted big and little people in bare feet, t-shirts, and not enough clothes complaining about how cold they are and running to turn up the thermostat. Well, I'm done with that. If it's cold enough for snow it feels a little more true to pull up some big socks, throw on a couple more layers, and snuggle up with a blanket. I like how we gravitate toward each other and the warm spots in the house seeking heat. This point speaks to my personal intention to plan ahead: documenting our ideas in advance and gathering any supplies we may need so when we find ourselves with time I have everything on hand and our activities have a little more meaning, or tie-in, than just grabbing odds and ends from the art closet and inviting the kids to make something. I think there is room for both art and craft. This year we made snow flakes and I really liked how they turned out. They became a centerpiece decoration for our kitchen/dining room, and remind us everyday it’s Winter! More projects like that can help to bring the house into the season and connect us in some small way to the changes happening outside. I have a shared Winter Living Pinterest board as one small step toward this goal. A turn of the season is a natural impetus to change the decor, throw things away, get organized, clean and simplify our spaces. I want to continue that instinctive rhythm and improve on it in a way that I can look forward to and plan for. Using light to cue our daily rhythm makes sense and is instinctually calming. Early mornings and late afternoons are more peaceful with quiet music and turned down lights. Candle light cues the kids to quiet and wind down as bedtime nears. Friends of ours use light to herd their kids to the rooms in the house they want them to occupy by turning off the lights everywhere else. It's brilliant and it works for us too. What does seasonal living look like for you right now? What intentions would you like to set for your family moving forward? Editor's note: I added the final intention to Use Light to Cue our Daily Rhythms mid-way through completion of the 12 week series. 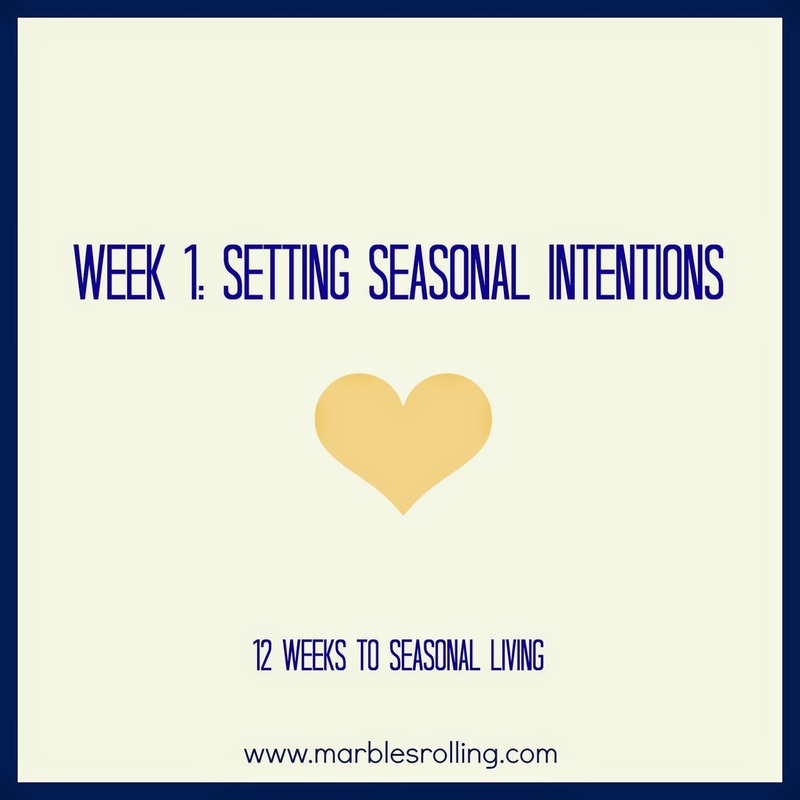 I have to admit that I didn't fully understand "seasonal living" in your last post, but this puts it more into context and I think it is a wonderful list of goals to focus on. I especially like your goal of spending time outdoors and letting the temperature of your home reflect the season. Winters here are too cold to NOT wear sweaters and socks even indoors, but I'm totally guilty of cranking the AC in the summer (I didn't grow up with AC so it still feels like such a luxury!). But there really is just something about having the windows open and the fresh air filling the house! I also struggle with outdoor time in the winters. We are fully equipped with winter gear and I am a firm believer in getting outside to play at least once a day for the sake of all of our sanity/health, but it really is SO COLD sometimes and oh my gosh, SO MUCH WORK to get all the kids bundled up for what can sometimes only be 15 minutes of outside play! But I know it's means a better afternoon and good nights sleep for the kids if we get some fresh air every day. Ack, sorry if I didn't make it very clear in my last post. It was sort of a little intro and i'm becoming clearer too, as I'm going through the exercises. I feel like my desire to be in closer contact with the seasons will be soothed once we get into our new house because it is a wooded lot and a one minute walk to the River, and we'll have a garden space and the house itself is being designed to integrate with the land and optimize our connection with the outdoors. I've been sort of dreaming about how things will be and wanting that right now and so this workbook comes at a time when I'm trying to "make do" with what we have now, and I'm realizing that there's no reason to wait! I love the idea of seasonal living! To me, this means eating locally as well as eating to reflect what's naturally available. A chef once suggested to me to eat around the perimeter of a grocery store and you'll only eat what's in season. And I love the values of getting outside (even when it's cold! ), crafting to reflect seasons and quarterly cleaning/organizing. This seems to come naturally to me when it's warm outside but this post is great inspiration to live in to ALL of the seasons rather than wishing the cold weather away! I love the idea of not letting the cold weather keep you inside! As I get older, I feel an even stronger need to be with nature, but I wuss out in the winter :( I'll keep your seasonal living thoughts in mind!